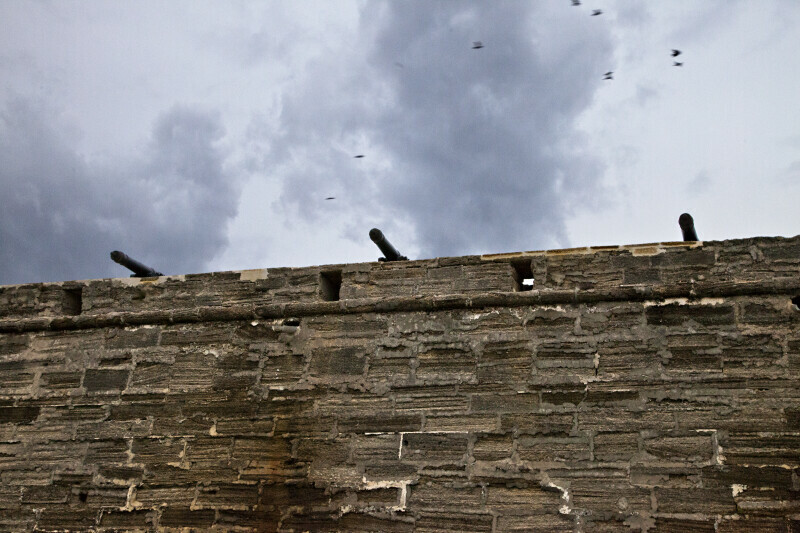 There are three cannons at the top of this wall. The walls are made of coquina limestone. The fort is a National Monument, and is listed on the National Register of Historic Places.